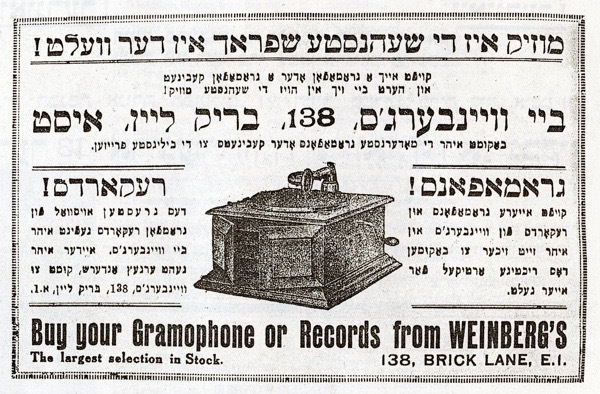 “Music is the Most Beautiful Language in the World!” proclaimed Weinberg’s Brick Lane gramophone shop in an advert published in a Yiddish paper sold on the streets of Whitechapel in the twenties. This was the time when swinging dance bands were all the rage, and local venues like St George’s Town Hall, the Grand Palais and the King’s Hall proudly hosted ‘Jazz dances’ complete with live bands and fox trot competitions. At Levy’s record shop, 19 & 20 Whitechapel High St, which was known both locally and far and wide as ‘the Home of Music’, customers could find the latest red hot jazz imports, and even discs pressed up on Levy’s very own record labels, Levaphone and Oriole. 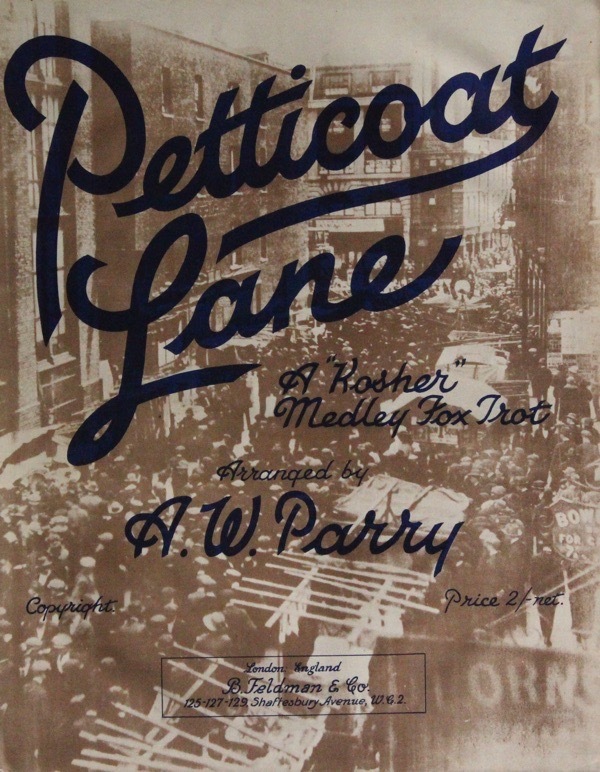 This was a musical landscape in which generations of gifted young Jewish Eastenders – musicians, singers, song writers as well as impresarios, club and record shop owners – forged a remarkable contribution to the development of the British music scene. Take Bud Flanagan, Joe Loss, Stanley Black, Ronnie Scott, Alma Cogan, Lionel Bart and Georgia Brown to name but a few. Their recorded legacy can easily be found online. Yet surprisingly, given the cultural and religious backdrop, Jewish-themed jazz and dance band discs, or folk or musical comedy numbers recorded in London during this time have proved far more elusive. There is no problem in finding their equivalent in the United States, or even Jewish dance band music from pre-Nazi era Germany or Poland. So my quest has been to seek out and rescue the ‘Yiddisher Jazz’ soundtrack of the old Jewish East End from apparent aural oblivion. What treasures they are! Thanks to a squad of supporters and fellow travellers, I have traced a series of remarkable 78 rpm discs in the archives of the British Library and the Jewish Museum, as well as in private collections, and via the charity shops of Hendon and Golders Green. These were districts where former East Enders moved in the last century and where – sadly after they have gone – some of their possessions end up for sale. Yet even after all these years, these recordings are still very much alive. Magically, they have preserved an atmosphere of a past world – mirroring the old Yiddish Theatre where audiences left with smiles on their faces and tears in their eyes. 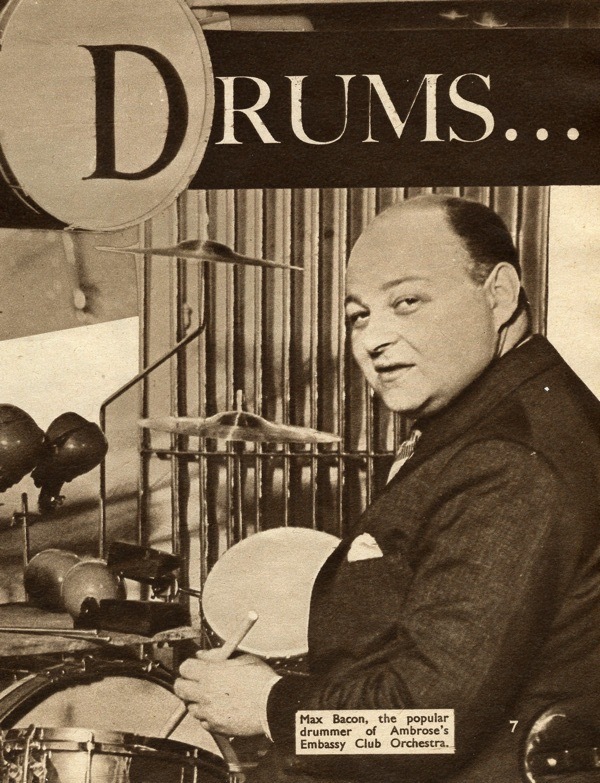 We can delight in the cheeky street patter of the incomparable slapstick drummer Max Bacon rejoicing in the East Enders love affair with ‘Beigels’ – but also shed a tear with Leo Fuld, the remarkable Dutch Yiddish singer, whose recordings in post-war London were haunting reminders of a way of life decimated by the Holocaust. 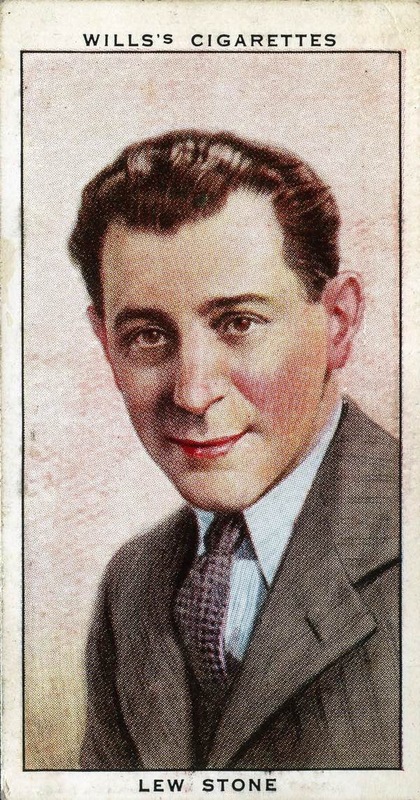 Besides bands with fictitious monikers like Mendel’s where the actual names of the musicians have been lost in time, there are terrific Jewish-themed numbers by the hugely successful stars of the era, like Whitechapel boys Bert Ambrose and Lew Stone, whose BBC Radio broadcasts in the thirties made them household names throughout the nation. It was an unexpected treat to discover a small run of releases by Johnny Franks & his Kosher Ragtimers, who recorded for the short-lived independent Planet label – which operated from a first floor flat in Stamford Hill at the beginning of the fifties. As a lad, Franks worked in his father’s kosher butcher shop, and by his early twenties he was composing and playing on a series of extraordinary recordings. 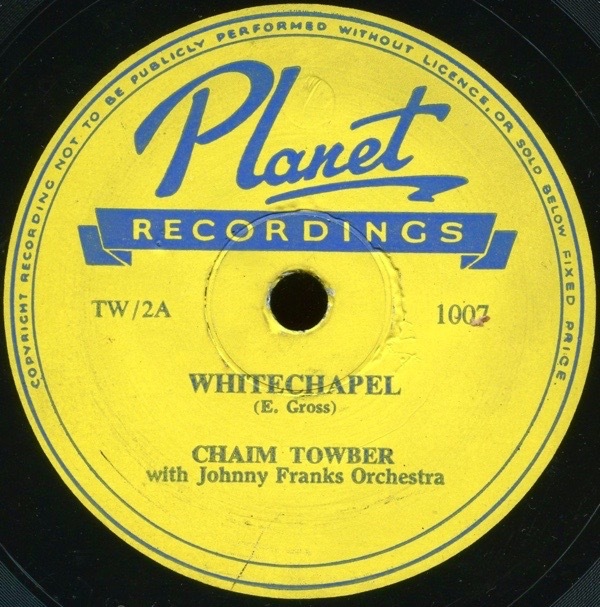 His orchestra can be heard accompanying Chaim Towber, the Ukrainian-born star of the Yiddish Theatre, on perhaps the most well-known track in the collection – the classic ‘Whitechapel’. It is a poignant homage to a way of life that was disappearing in front of the singer’s eyes as the Jewish community of the area moves out to a suburban homeland. 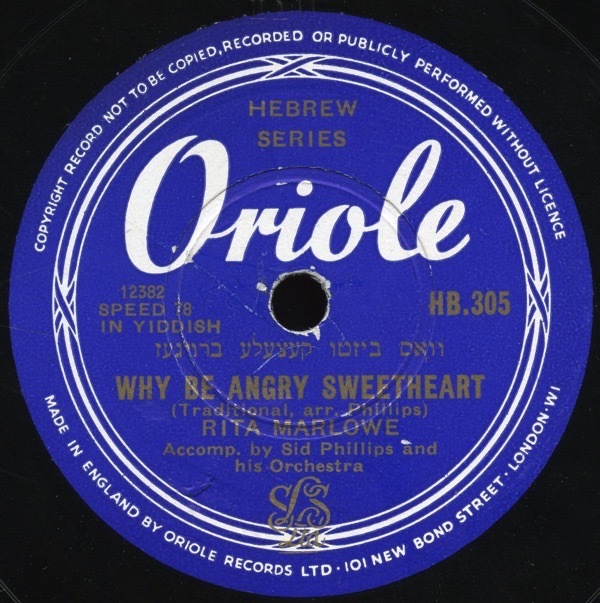 Another highlight was a collection of 78 rpm discs by the Stepney-born siren of the Yiddish song, Rita Marlowe. Rita graduated from her synagogue choir to performing with dance bands in the pre-war years. She would later devote her career to performing solely in Yiddish, and her recordings were issued on Levy’s Oriole label. 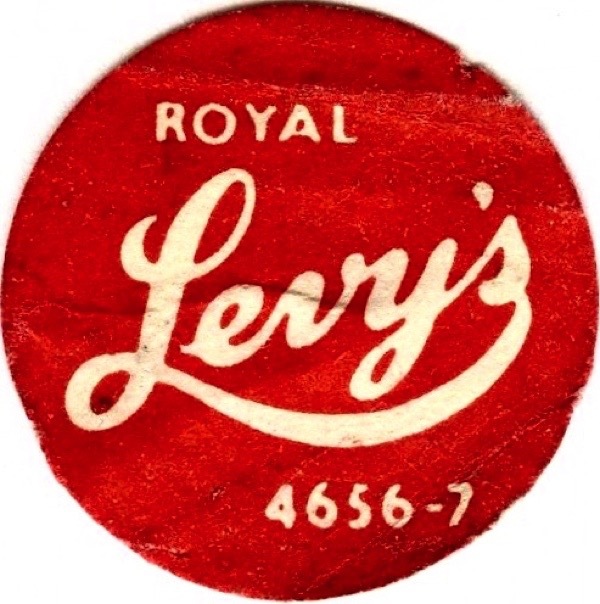 Founded in 1890 by Jack Levy selling bicycle parts in Petticoat Lane, Levy’s grew from the ‘Home of Music’ to running recording studios and owning labels and pressing plants, before merging with CBS in the sixties. Thankfully the Beautiful Music has been preserved in the grooves of ancient discs. Now they are ready for a new journey, offering a nostalgic reunion for those who grew up listening to these songs, perhaps performed live at family functions, or in the ballrooms of the kosher hotel circuit of Brighton or Bournemouth - the British equivalent of the American ‘Borsht Belt.’ I hope the music will also excite a new generation intrigued by the rich social history of a place that has continued to absorb new cultures, and which has such a remarkable track record of inspiring musical creativity. What a wonderfully nostalgic post! My late father, an East End jazz lover, often mentioned all those names. Thanks for the memories GA.
A very prominent Jewish jazzman has been ommited from this article, -Cy. Laurie. Cy. was Cyril Lurie whose family ran a jewellers shop in Roman Road. Cy was equal to Ackerbilk and Johnny Dankworth who were in the charts at the same time. The Cy. 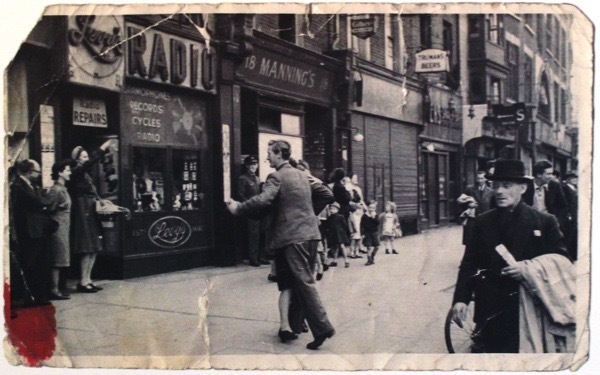 Laurie Jazz Club held its meetings at Mac’s Rehearsal Club in Great Windmill Street. Fascinating post! Well done for uncovering this lost part of our heritage. Thank you! Very much enjoyed Alan’s brilliant talk today at the Survey of London Whitechapel History Festival, at Tower Hamlet’s Ideas Store. Talk, music, beigels (well, songs about beigels), what’s not to like!